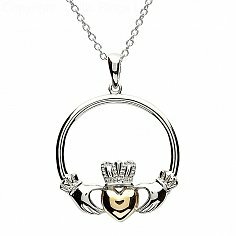 These wonderfully stylish Claddagh earrings are made from Sterling silver but the emphasis is on the gold plated heart center. 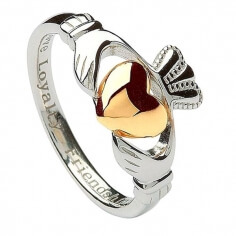 A wonderful gift for the woman you love. Presented in a crafted box, these earrings are handmade in Ireland.